49 Degrees North is a favorite with locals in northeast Washington State. 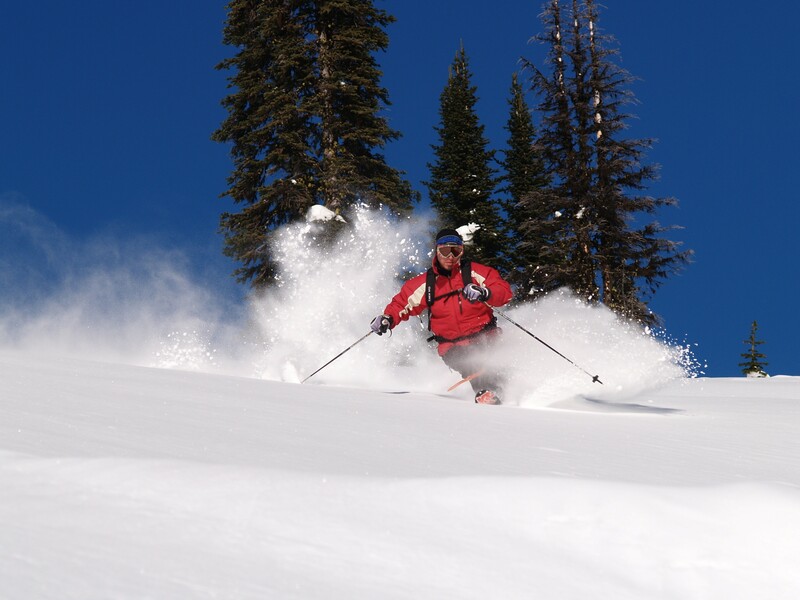 You will find 2,325 skiable acres on Chewelah Peak, with 54 runs serviced by five lifts. The addition of 12 cut runs and the gladed areas of East Basin have doubled the ski terrain. The vertical is around 1,850 feet. The Chair 2 terrain park is one of the longest in the Northwest. Ski school, 49er Club, rental shop, ski patrol, first aid, day care, lockers, retail shop, cafeteria, Boomtown Bar, and the Klondike room are all located at the lodge. Night skiing available.